The Executives of the Nigerian Institute of Procurement Engineers (NiProcE) paid a courtesy visit to the Managing Director Nigerian Ports Authority, NPA at the Organizations Corporate head office, Marina- Lagos recently. The visit was aimed at establishing synergy between the institute and NPA in promoting efficient procurement procedures. The General Manager, Engineering, Engr. Rufai Mohammed received the team on behalf of the Managing Director, Hadiza Bala Usman. The Managing Director, NPA’s representative, Engr. 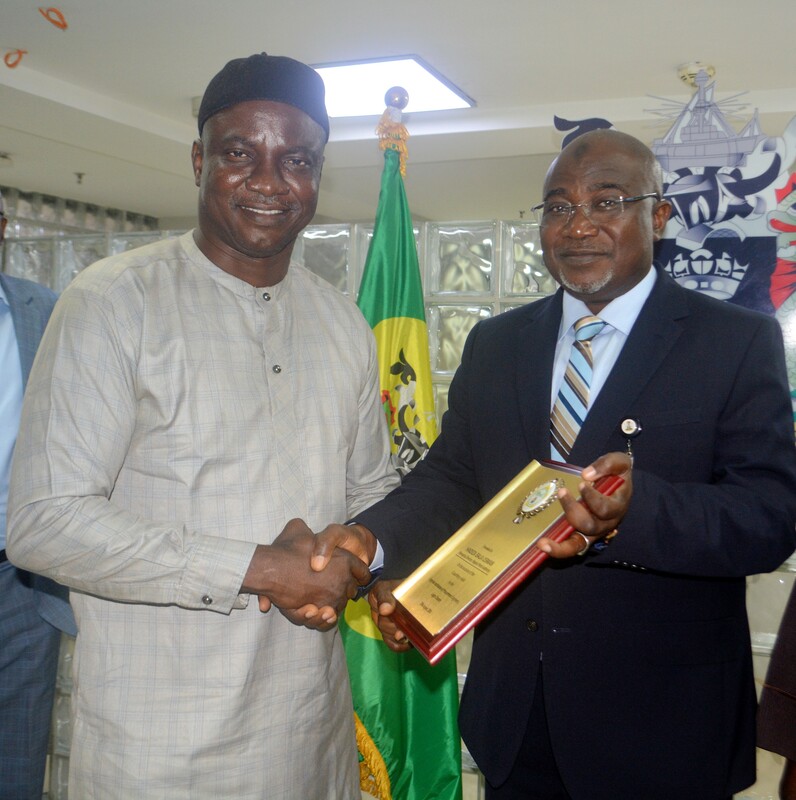 Rufai Mohammed receiving a memoirabila on behalf of the MD from the Chairman, Nigerians Institute of Procurement Engineer (NiprocE) Engr. 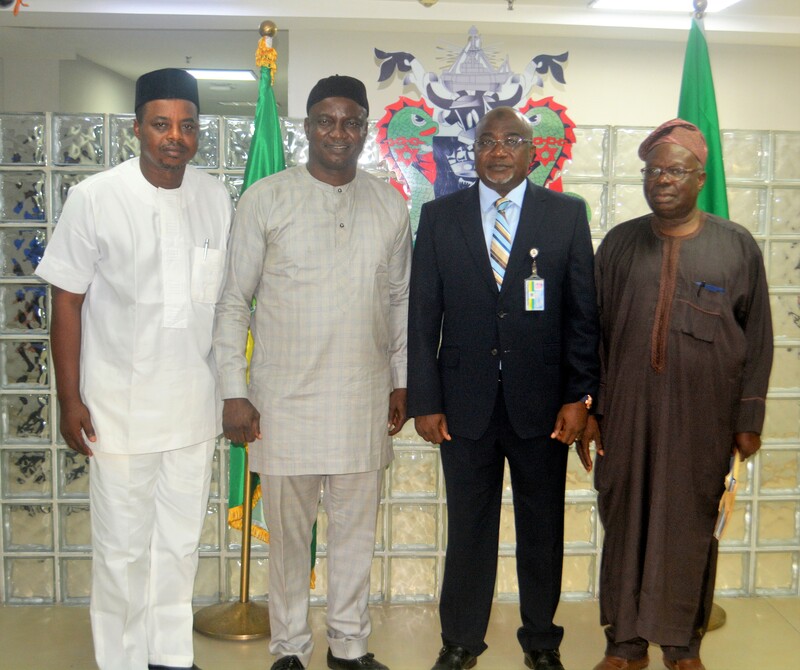 Samuel Echedon FMSE during the visit. 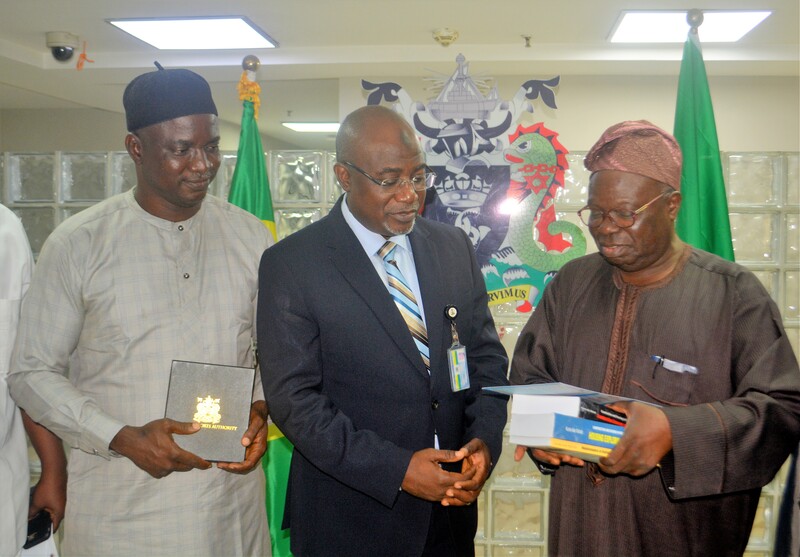 At the center is the representative of the Managing Director NPA, Engr Rufai Mohammed receiving some publications from the Chairman, CEO, Project Monitoring Consult, Engr Kunle Ade Wahab while the Chairman, Nigerian Institute of Procurement Engineers, Engr. Samuel Echedon FMSE watch with rapt attention during the occasion.